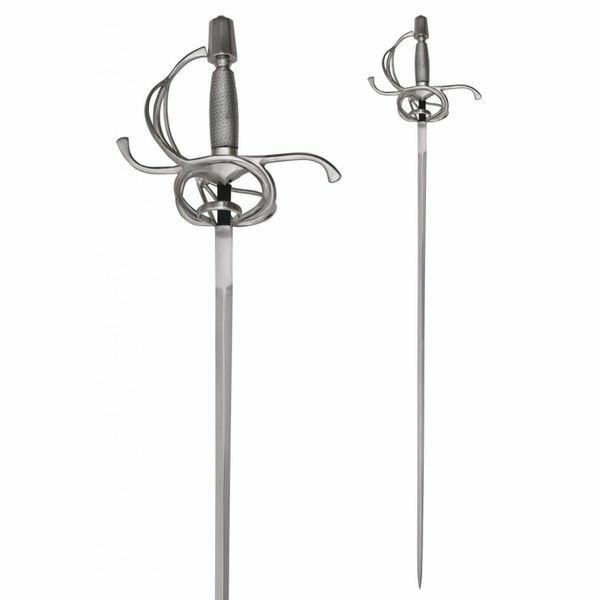 This rapier is made after an early 17th century original which is part of the collection of the National Museum in Madrid. 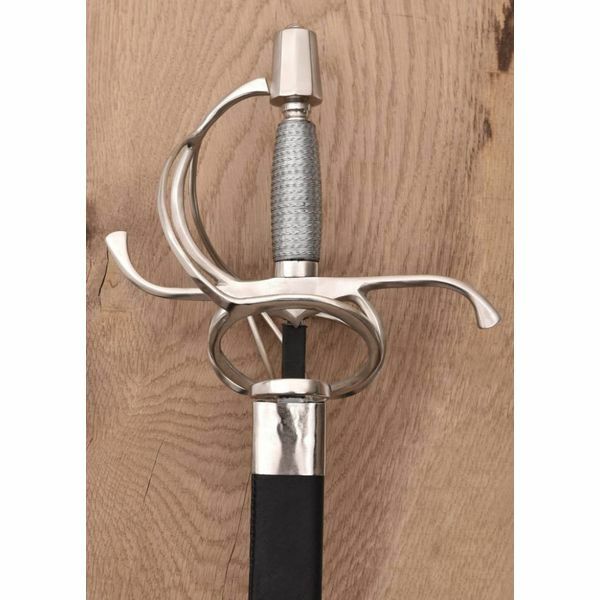 Rapiers protected the hand, they were lighter than traditional swords and made stabbing easier. 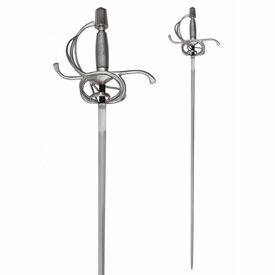 This rapier is 116 cm long, has a blade of 88 cm with a grip of 15 cm and weight approx. 1702 grams. It is semi-sharp. This item is semi-sharp and made for decorative use. For a surcharge it can be sharpened razor sharp. When you use the sharpening service, the warranty only accounts for transport damage. 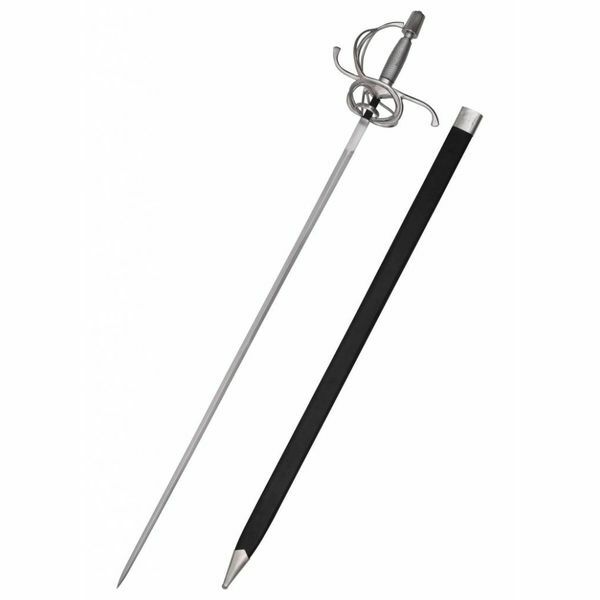 When using the sharpening service, the delivery time of the sword will be approx. 2 weeks. Avoid rust by frequently greasing your armor. You can easily remove rust with black sandpaper.